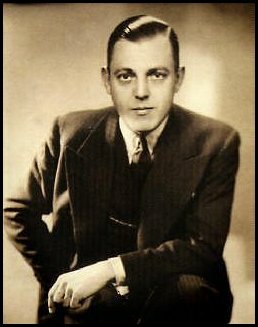 Billy Joseph Mayerl (May 31, 1902 – March 25, 1959) was an English pianist and composer who built a career in music hall and musical theatre and became an acknowledged master of light music. Best known for his syncopated novelty piano solos, he wrote over 300 piano pieces, many of which were named after flowers and trees, including his best known composition, Marigold (1927). He also ran the successful School of Syncopation for whose members he published hundreds of his own arrangements of popular songs. He also composed works for piano and orchestra, often in suites with evocative names such as the 'Aquarium Suite' (1937), comprising "Willow Moss", "Moorish Idol", "Fantail", and "Whirligig". n 1926, he left the Savoy and opened his 'School of Syncopation' which specialised in teaching modern music techniques such as ragtime and stride piano. This in turn, led to the long running correspondence course on 'How to play like Billy Mayerl'. It was during this period that he wrote his most famous solo 'Marigold'. By the late 30's his correspondence school is said to have over 100 staff and 30,000 students. It finally closed in 1957.On October 28, 1925, Mayerl was the soloist in the London premiere of George Gershwin's Rhapsody in Blue. In December 1926, he appeared with Gwen Farrar (1899–1944) in a short film – made in the Lee DeForest Phonofilm sound-on-film process – in which they sang Mayerl's song "I've Got a Sweetie on the Radio". His song "Miss Up-to-Date" was sung and played by Cyril Ritchard in Alfred Hitchcock's sound film Blackmail (1929).On Tuesday, 1 October 1929, Billy Mayerl's orchestra performed at the opening of The Locarno Dance Hall in Streatham.In the 1930s Mayerl composed several works for the musical theatre including three connected with horse racing, Sporting Love, opening at the Gaiety Theatre, London in 1934, Twenty to One (Coliseum 1935), and Over She Goes (Saville 1936). In 1938, famed jazz pianist Marian McPartland joined his group "Mayerl's Claviers" under the name Marian Page.Mayerl died in 1959 from a heart attack at his home, Marigold Lodge, after a long illness. GMT+8, 2019-4-19 12:56 , Processed in 0.128693 second(s), 20 queries .